Fiona Boyes plays deep Blues, influenced by a myriad of traditional regional styles. She has carved an international reputation as a blues guitarist, vocalist and songwriter, and American reviewers have described her as a �musical anomaly� and �Bonnie Raitt�s evil twin�! Equally at home on acoustic or electric guitars, her mostly original repertoire is like a Blues travelogue. Listen to her play and you�ll hear pre-war Delta slide, single chord Mississippi Hills grooves, intricate country blues finger picking along with material drawn from the classic blues sounds of New Orleans, Chicago and Memphis. 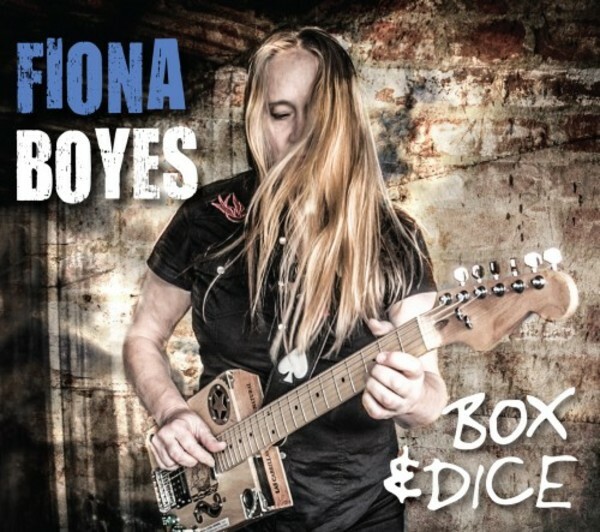 Fiona continues to joyfully explore the music she loves with recent acquisitions such as cigarbox guitar and a rare National Reso-Lectric Baritone adding new textures to her live shows and recordings. Reference Recordings is excited to announce the worldwide release of her brand new album - Box & Dice - her first recording with her long-time Australian rhythm section, drummer Mark Grunden and Dean Addision, double bass. A distinctive finger-style guitarist, her soulful, authoritative style has earned her unprecedented recognition overseas as an Australian artist. Winner of the International Blues Challenge in Memphis, Fiona has also received Blues music�s highest international accolade with 4 successive Blues Music Awards nominations for both her electric and acoustic playing. In 2014 Fiona was the first Australian blues musician to be invited to play at the prestigious US traditional acoustic festival �MerleFest�, followed by an extended European tour of jazz and blues festivals, clubs and cultural centres in 7 different countries.